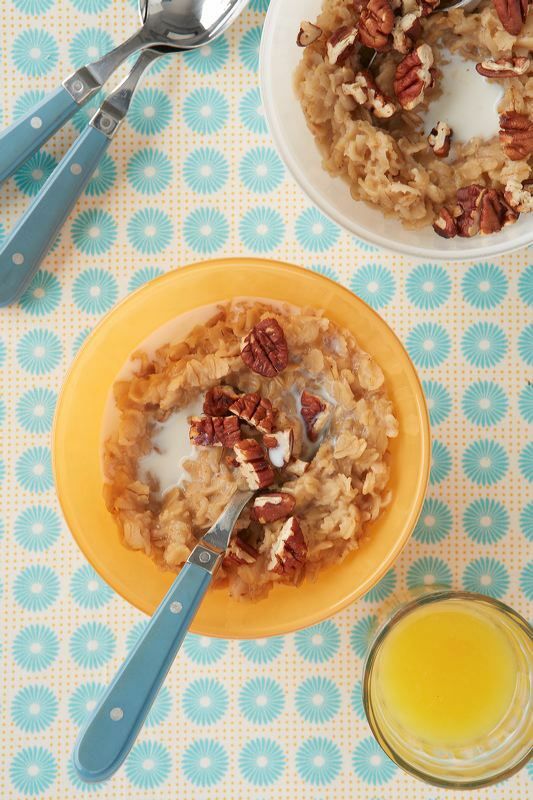 Tasty Tidbits (Oatmeal) and Kitchen Dreams | Small, but valuable. Well, today is super busy at work, which means it isn’t allowed to be super busy anywhere else. That’s how it should work, at least. But before I got to work this morning, my mind was racing in a different direction. Scott and I have been meaning to buy a kitchen island (or the cabinets that will someday become a kitchen island) for a while. We found the perfect place to buy them (hopefully), we saved our pennies until they became dollars, and now we’re ready to order. We just keep forgetting. Soon. Except probably not in red, because let’s face it, our house has lots of blue and green and brown. That trend will probably continue for years and years to come. And when I wasn’t dreaming of quick, cheap projects, I was throwing lunch together. We ran out of leftovers the other day, so I went for my typical back-up lunch plan: instant oatmeal. But I’m kind of proud of myself for today’s instant oatmeal. I threw some unsweetened apple sauce and a bag of pecans into my lunch bag with ye ol’ oatmeal packet, and I mashed them all together after the microwave did its work on the oatmeal. The result is pretty darn tasty. It has real fruit in it without all the extra sugar of apple cinnamon oatmeal, and it tastes better in my opinion. Plus those pecans. Mmm. And all in 2 minutes and 30 seconds. Success!